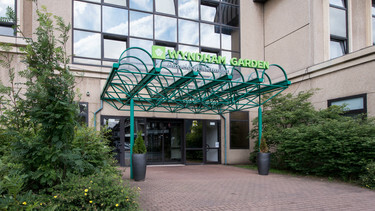 Wyndham Garden Duesseldorf Mettmann Hotel is conveniently situated, close to Duesseldorf Airport and Messe Düsseldorf trade fair centre. 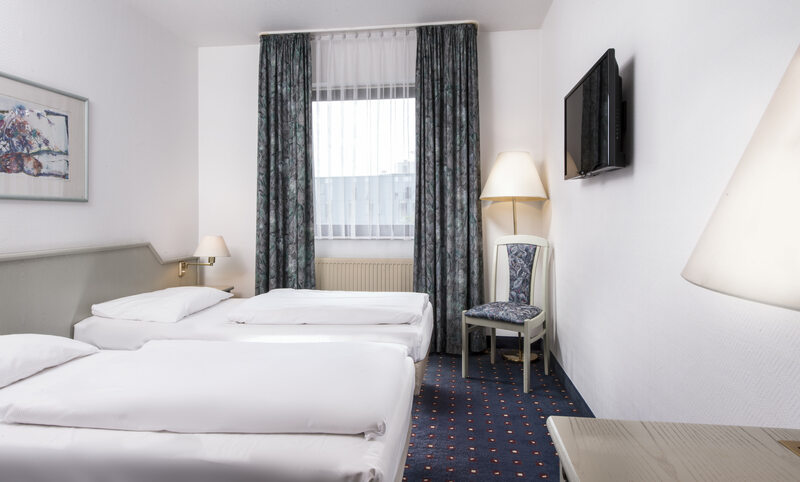 Our beautiful 4-star Duesseldorf hotel in Mettmann offers 178 comfortable and modern hotel rooms in various categories and 12 apartments. 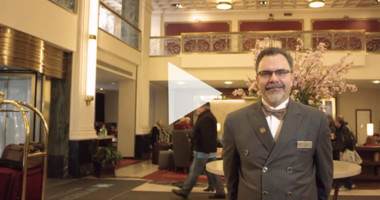 Payable and sufficient parking spaces are available for our hotel guests. 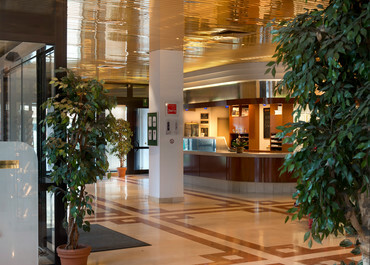 Our hotel in Mettmann is ideal for business travellers, holidaymakers and weekend travellers. 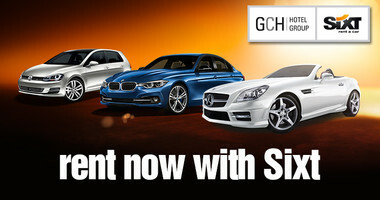 Business travellers appreciate our exclusive business services. 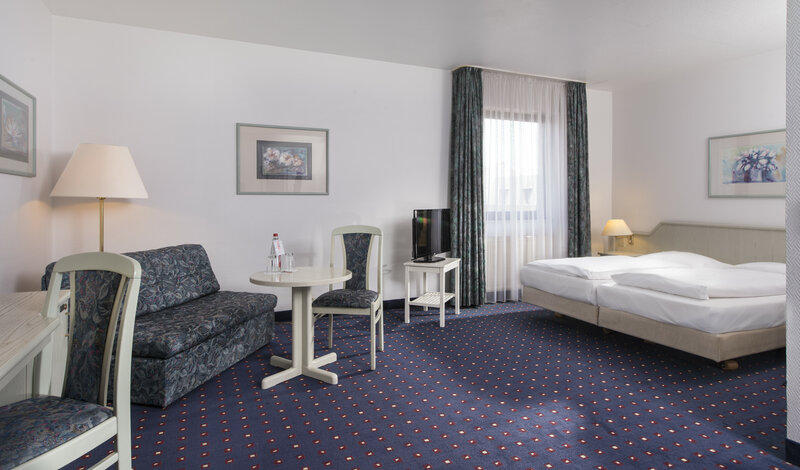 Our Duesseldorf hotel comprises seven function rooms bathed in natural light, which can hold up to 330 people. Free WiFi internet access and modern conference equipment are all provided. Relax in our hotel's exclusive wellness area: the health club at the Wyndham Garden Duesseldorf Mettmann Hotel awaits you with two saunas, spectral light therapy and a Roman steam bath. Our more sporty guests can get active in the workout area with a treadmill, ergometer and stepper. 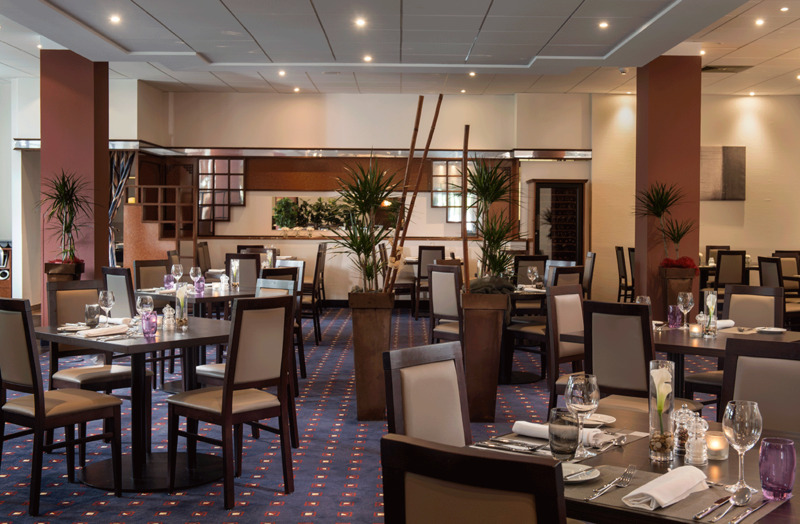 In the "Brasserie – Fine Dining" hotel restaurant, we serve you regional specialities and international cuisine. In summer the attractive beer garden invites you to stay a while. 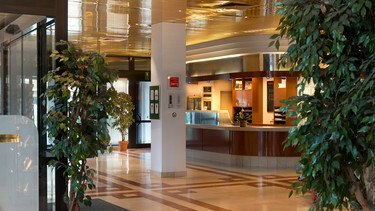 Buy online and print your personalized gift voucher of the Wyndham Garden Düsseldorf Mettmann Hotel. 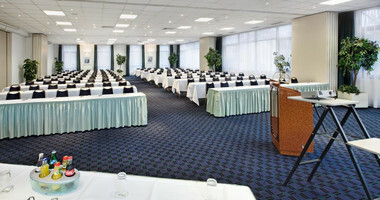 The Wyndham Garden Dusseldorf Mettmann has 7 conference rooms with daylight for events up to 330 persons. 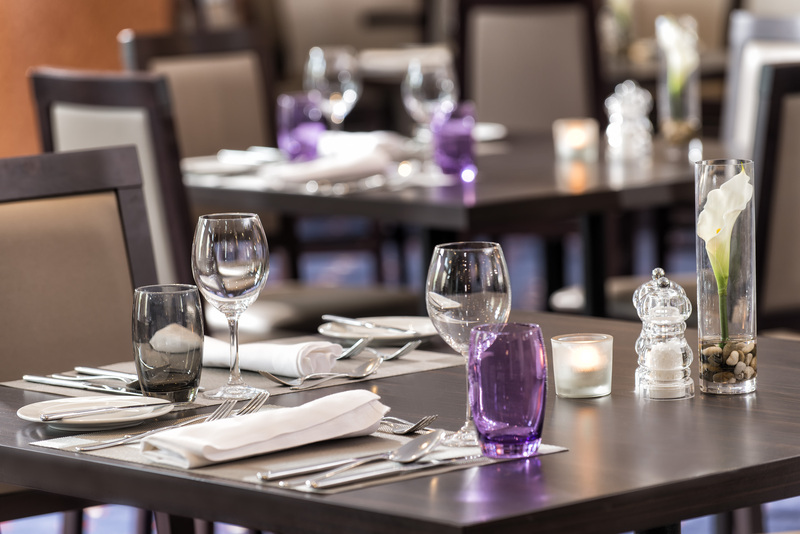 Our highly motivated team assists you with planning and implementation of your event. 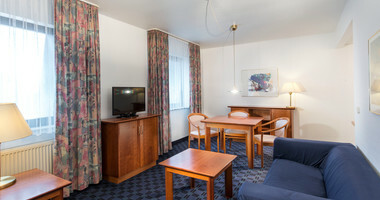 The fully equipped apartments at the Mettmann hotel are perfectly suitable for families and long term guests: plenty of space, fully equipped kitchenette, separate living and sleeping area. 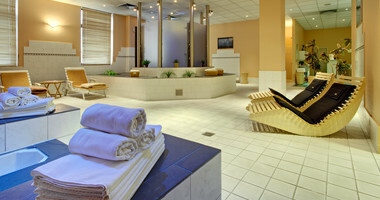 The sauna area Health Club „Body & Soul at Wyndham Garden Mettmann Hotel offers 2 Finnish saunas and a Roman steam bath. Sports enthusiasts can enjoy a workout in our gym.